Hello Friends...Today its a lovely day for me as I am celebrating my 100th blog post. I just can't believe it. Few months before I had started my new blog and today it has hit the century.....Cheers!!! The special thanks to my all blogger friends who visited my blog and appreciated me on my hardwork by their lovely and valuable comments. At the same time I want to wish everyone "A Happy Father's Day". HAPPY FATHER"S DAY to my papa. 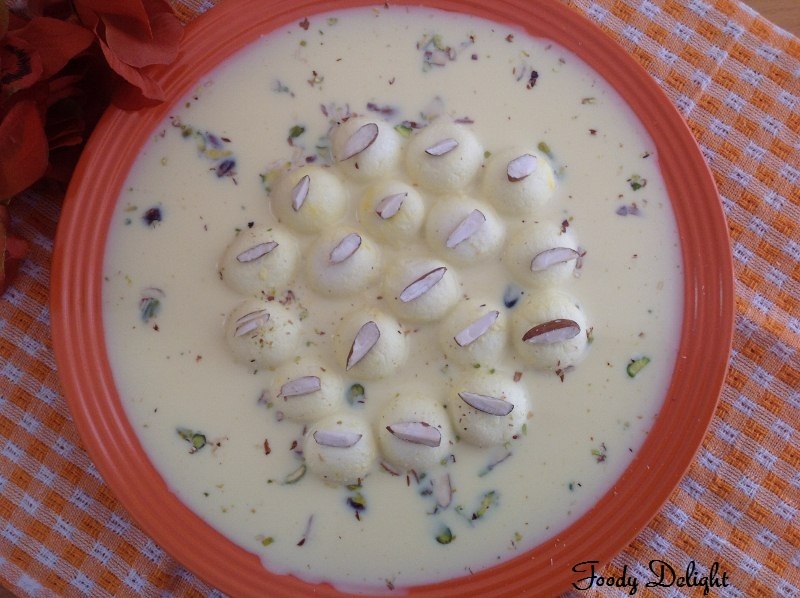 Angoor Rabdi is the famous North Indian sweets. 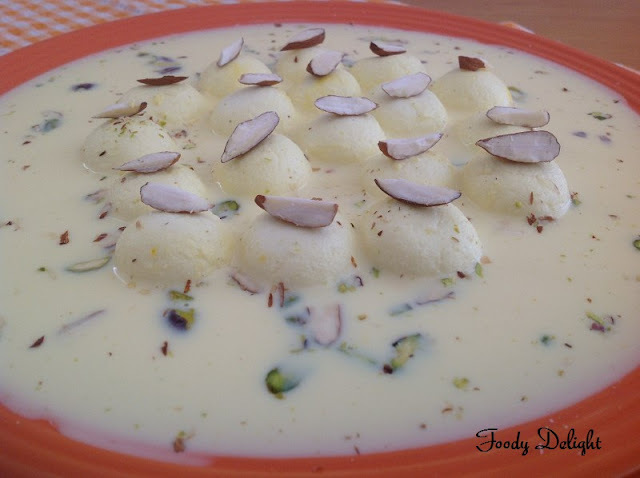 This is made with cheese balls, cooked into hot boiling sugar syrup and then soaked into thicken milk,known as Rabdi. Angoor Rabdi is very much similar to popular Bengali sweet Ras Malai ,but here paneer balls are of grape size for this recipe and this is the reason it's different from Ras malai. So lets start with the recipe. Pour the milk into heavy bottomed pan aand bring it boil on medium flame. You will see the milk starting curdlling.Then turn off the flame. 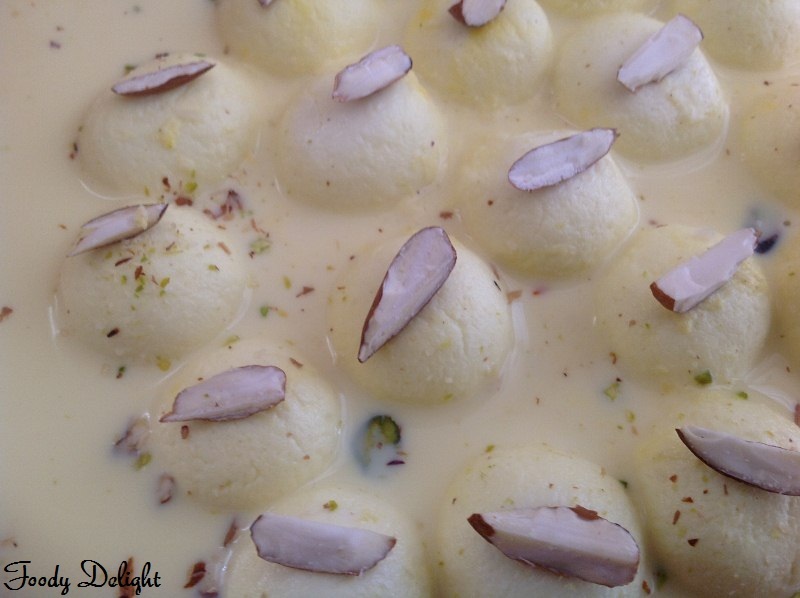 Divide the cheese dough into 16 to 17 tiny balls (angoors). When the mixture comes to the rolling boil, lower the flame and add all the tiny balls(angoors) into the mixture. Boil the angoors into the mixture for 10 to 12 minutes. The angoors will be double in their size after cooking into the syrup. Take out all the angoors from the syrup,squeeze them a little and keep it aside. Soak the saffron strand into about 2 tbsp of milk. Keep it aside. Then add angoors.Let it cook for few minutes. Now mix in the cardamom powder and saffron mixture. Garnish with sliced almonds.and serve chill. Looks super tempting and delicious. Congrats on your 100th post. Perfect recipe for the celebration! Congrats on your 100th post..
congrats dear.. those balls are looking so cute..
congrats on your 100th post!! lovely recipe to celebrate that!! and awesome clicks.. 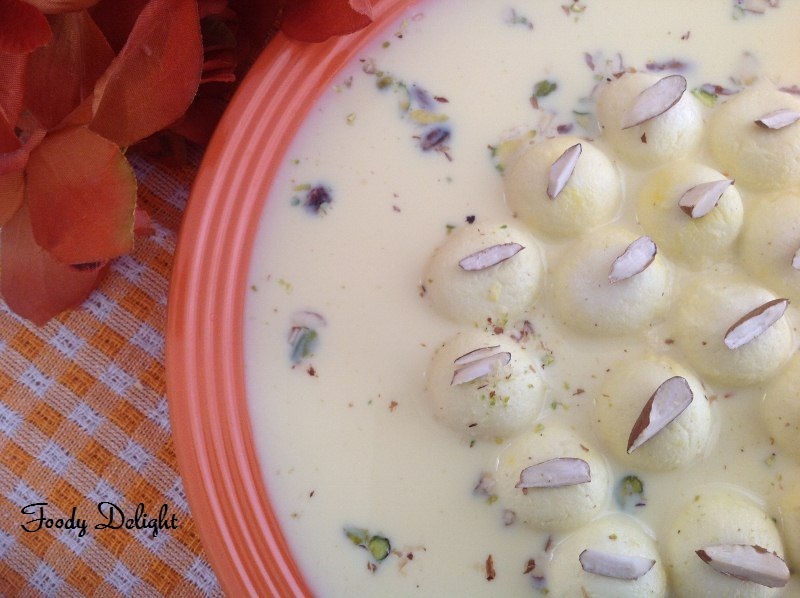 Thank you so much Renu..
congrats dear:) balls looks so inviting and yummy..
Congrats on your 100th post,angoor rabdi loks perfect & mouthwatering ones!! Congrats and keep on going..Super tempting,delicious and incredible rabdi..Wish to have some rite now.